We are often asked which is the most popular material to build a driveway. Well, there are many options that, from the customer’s point of view, is excellent news as it is great to have a choice. In the last few years, we have found that we are seeing an increase in the use of stamped concrete driveways – that is in fact another name for pattern imprinted concrete. Why is a stamped concrete driveway so popular? It should add value to your home and make it more saleable. 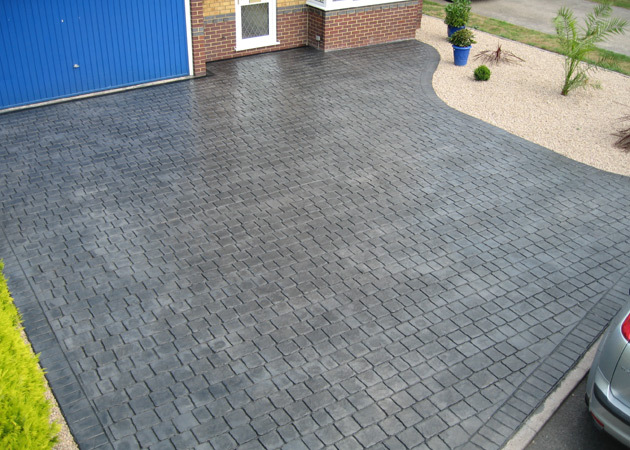 It is one of the most affordable driveway surfaces that we install. Its appearance is top-class. It looks exclusive and fits in well whether you own a country cottage or a house or bungalow on a large housing estate. There are many patterns and colours to select from meaning that you will end up with a drive that nobody else has. It is easy to maintain being resistant to stains, it does not fade nor suffer from weeds growing through the surface. With so many years experience and providing a first class service and range of products, Abbey Drives is extremely proud of the fact that much of our business now comes from being recommended by existing clients some of whom have used us on more than one occasion. All our staff are on the payroll and put as much effort into their work as the owners of this family run business. 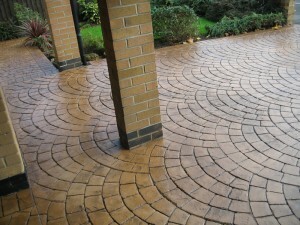 We all get a great deal of satisfaction from doing a first class job resulting in the customer being thrilled to bits with their new driveway in Nottingham or the surrounding area. So, to start the ball rolling, why not give one of our professional, friendly staff a call and they will answer your initial questions. 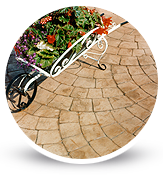 Then, we can arrange to visit your home and provide a quote and help design a bespoke stamped concrete driveway.